Small enough for inside use, but big enough for tons of fun! Bouncer with added fun of a ball pit. The Little Star Inflatable Bouncer is the perfect jump house for your little ones. A bounce house, slide and ball pit packed into one great little bouncer... This bounce house has it all! It is playtime for the little ones! The Little Star Inflatable Bouncer has a bounce house area, a slide, basket ball hoop and a ball pit. Simply unfold and hook up the air-blower and then you are ready to play away. 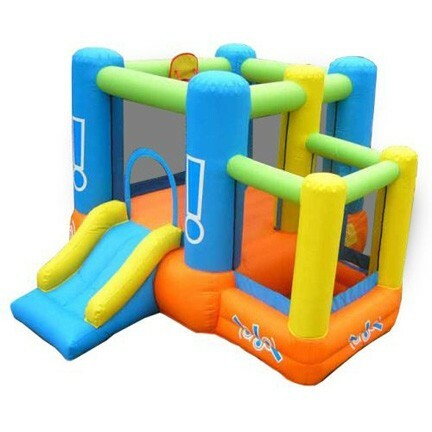 Perfect for the little one's who love to bounce, slide and play.